In a scenario that is becoming more and more familiar, this video from Democracy Now chronicles yet another confrontation between the interests of private business, government agencies and American Civilians. 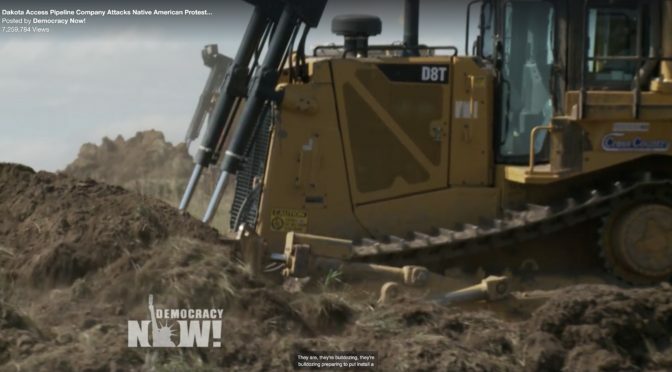 Armed with dogs, pepper spray, trucks and bulldozers, purported representatives from the company attacked the protestors, who were mostly women and children. More information available on the Democracy Now website.